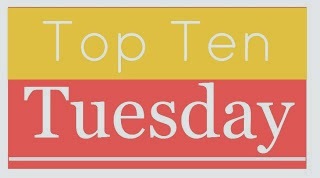 Captivated Reader: Top Ten Tuesday ~ Top 20 Books I Want To Reread!! Thanks for stopping by and leaving me a comment! Rereading scenes sounds like a good idea to me. Ooh, To Kill a Mockingbird is a good choice. To Kill a Mockingbird is a great choice. And, I really enjoyed East of Eden, though, I don't think I could reread it over and over. I have read To Kill a Mockingbird and East of Eden twice. They both stood up well to rereading. I will be reading The Second Mrs Hockaday, first time, for a reading group next month. It must be good if you want to reread it. Can't wait to read your review of The Second Mrs. Hockaday next month to see what you think of it!! I read my first John Scalzi recently and can definitely see reading more of his stuff! And perhaps re- reading also. You do have a long list of books you'd like to reread. Wow. Go for it! Thanks for visiting my blog. What a wonderful list! I had forgotten about a few of the books but would gladly re-read them if I had the opportunity, especially The Art of Racing in the Rain and My Life on the Road. I definitely should have had To Kill a Mockingbird on my list! Great picks! I'd love to read Memoirs of a Geisha and Guernsey again. I also really need to pick up Big Magic--I've heard it's amazing from multiple people! Oh, I hope you'll read Big Magic!! It is a lovely read. I think To Kill a Mockingbird makes a really great reread. I hope you have time to do so soon! I've only read a handful from your list, and of those I'd read Memoirs of a Geisha, To Kill a Mockingbird and maybe People of the Book again. This was a fun topic! This week's TTT was a fun topic! Thanks for stopping by and leaving me a comment! I have only read one of the books on your list - To Kill a Mockingbird. I want to read The Guernsey Literary and Potato Peel Pie Society and Memoirs of a Geisha. So many books to explore, so little time. I've read a few of the books on your list and agree that I'd like to reread those - Memoirs of a Geisha, the Guernsey book, and People of the Book. Plus possibly some other books by Geraldine Brooks. Nice list! Geraldine Brooks is such a great writer. I've read four of her books to date. To Kill a Mockingbird is one of my absolute favourite books, but I've only read it once and that was five years ago. I definitely need to read and fall in love with it again. Great list! Ohh The Assassination of the Archduke sounds like something I need to read, as well. If you love history, then YES, by all means read The Assassination of the Archduke!! I learn so much it's incredible. I actually listening to the audio version of this book and it was fabulous. Haven't read any of these but I really want to get my hands on Memoirs of a Geisha and The Guernsey Literary and Potato Peel Pie Society! I love 'to kill a mockingbird', it's a great book though I didn't want to read 'go set a watchman', it just seems they're just print that book just because 'to 'to kill a mockingbird' is so famous. I didn't read any of the 19 books on your list, guess I should read more non-fiction, perhaps? Have a lovely day yourself and happy reading too!! I loved The Guerney Literary and Potato Peel Pie Society! It was my first audiobook and I just loved it! Wonderfully narrated. East of Eden is such a spectacular book! Love your list! Every year or two I re-read Anne of Green Gables, the Little House books, Jane Austen's novels, and Little Women. Wow, you do a lot more rereading each year than me. I am always so busy trying to read all the books in my 'to be read' pile each year! I haven´t read any of the books that you mention,. Nice list! The Master & Margarita by Mikhail Bulgakov - I really need to re-read that one, I feel like a lot of it probably went over my head and it would really benefit from a re-read. Nice list! It's been years since I've read The Master and Margarita and I am sure a lot of it went over my head as well. It would be fun yo read this novel with fresh eyes. Great choice! The Master and Margarita is one of my favourites. Thanks for stopping by and leaving me a comment! It's been years since I've read The Master and Margarita. I've only read The Art of Racing in the Rain and To Kill a Mockingbird but it looks like quite a great list you have here! Oh great picks for this week. I haven't actually read any of these books but I've heard good things about a lot of them. I must admit I haven't read any of these yet. I have seen To Kill a Mockingbird all over. It was actually one of the school books I enjoyed. To Kill a Mockingbird is fantastic - I love that book. And did you hear that The Guernsey Literary and Potato Peel Society movie is coming out this year? Thanks for checking out my list this week! So many on here that I haven't read, but I can't believe I forgot to add To Kill a Mockingbird to my list! I see that To Kill a Mockingbird is on your list. It was required reading for me last year in school. Have you read the second book, Go Set a Watchman? It changes EVERYTHING you thought you knew. Yes, I read the 2nd book 2 years ago and what a very different book! Lovely list! I'd love to read The Guernsey Literary and Potato Peel Pie Society and Memoirs of a Geisha again soon. I haven't read any of these but there are a few of them on my TBR and I really need to get going on those. Great list! I haven't read To Kill A Mockingbird in ages! Time for a re-read soon.